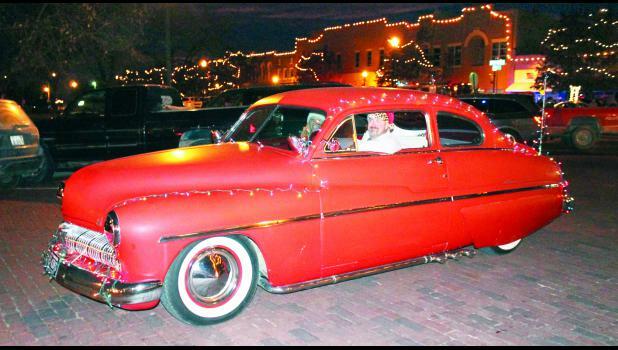 The annual Christmas Parade of Lights around the Holton Town Square on Friday evening was enjoyed by a big crowd and a good turnout of participants. Parade watchers lined all four sides of the Town Square and as the parade started, the Christmas Lights outlining the Town Square businesses were turned on. Santa and Mrs. Claus arrived in Holton that evening and after they participated in the parade they met with more than a 100 children in the Jackson County Courthouse lobby to have photos taken. Businesses around the Holton Town Square bustled with customers after the parade and many people on the Square chose to dine at local eateries. The $50 in Chamber Bucks prize from The Farmers State Bank for the Best-Religious Float was awarded to Soldier Christian Church. The $50 Chamber Bucks prize for the Best Business Entry from The Holton Recorder was awarded to Mick Tree Service. The $50 in Chamber Bucks Prize for the Brightest Entry from The Holton Recorder was awarded to Kendra McClain of Holton. The $50 in Chamber Bucks Prize for the Best Club or Organization Entry from Holton National Bank was awarded to the VFW Riders. Prize winners can now contact the business that sponsored their prize to collect their Chamber Bucks that can be used at any local Chamber business. There were several entries in the Christmas Parade representing the Jackson County Sheriff's Department and the City of Holton. Several brightly-lit firetrucks from the Potawatomi Tribal Fire Department, Netawaka and Holton also participated in the parade. Local churches represented in the parade included Holton First Baptist Church and Soldier Christian Church. Christ's Church also had an entry in the parade. 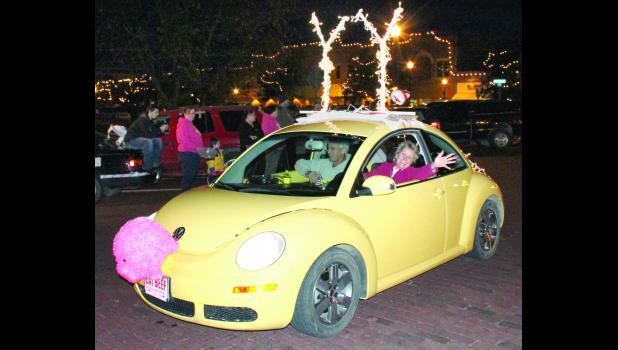 Businesses with entries in the parade included Vintage Park, Shelter Insurance (Don Fate, agent), Clark's Chevrolet and Buick and The Holton Recorder. There were also several other individuals with entries in the parade. 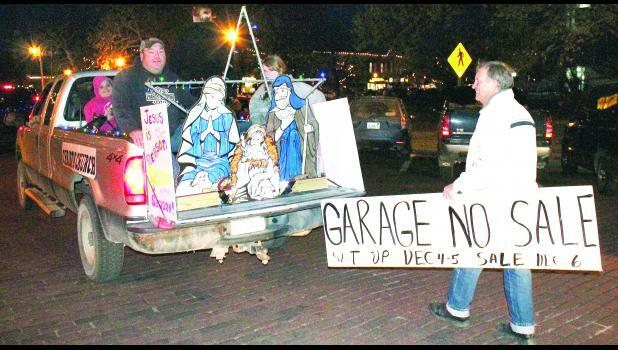 Plans to improve next year's Christmas Parade are already being considered, including a contest to name grand marshals for the parade. More photos from the parade will be published in the Wednesday edition of The Holton Recorder.